Have a shipment you need sent overseas to another continent or country? It can be overwhelming trying to find different carriers for every country your shipment crosses during its transit. 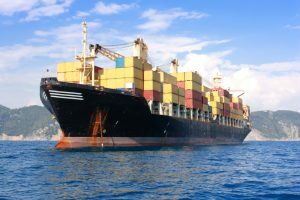 By choosing a freight forwarding company like United States of Freight, you’re choosing to have your entire international freight shipping managed by one team. That means less paperwork, less chance for mistakes, and less hassle for you. Not only do we take care of every part of the shipping process including pickup, shipping, and delivery, but we also track your order every step of the way. This way, you can get updates as to where your shipment and be sure that’s it’s scheduled to arrive on time. Don’t leave your international shipping to just anyone, leave it to the freight forwarding professionals! We know the best in the business to ensure that your shipment will arrive on-time and as expected each and every time! If you need shipping internationally via airplane, trust experienced professionals to do the job! We are committed to providing our air freight customers with top-of-the-line customer service and satisfaction throughout the entire process. Whether you need shipment via air to travel outside of the U.S., or shipment to come into the U.S., we can match the shipping solutions you need to the right organizations. And, we’ll manage the entire order so that you don’t have to! This even includes the importing process and clearing custom regulations without issue. Air cargo considered for international shipping is usually in the form of pallets or even loose items. 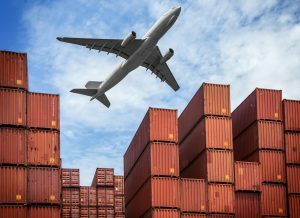 If you know the weight of your shipment and where it needs to go, we can offer an estimated quote for our international air freight services right over the phone! Basically, whatever you need shipped and however way you want it shipped, we can provide a solution which meets your expectations and matches your budget. We find ways to make the impossible shipments delivered safe and sound. And, we do it all by using highly qualified and licensed industry leaders! To find out more about our process, how we can help ship your items, and a quote for our services, give us a call today at (888) 231-2833.